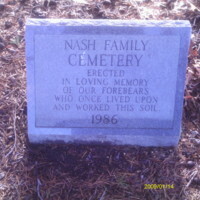 Nash Family Cemetery, located at 2091 Potomac Mills Circle, Woodbridge, Prince William County Virginia. It is located on a hill between Potomac Mills Mall and the Woodbridge Ikea. The cemetery is located on land that was once owned by the Nash Family, an African American farming family that lived on the land starting in the mid nineteenth century. The Nash family owned land in the Woodbridge area since the mid nineteenth century which they acquired gradually from their neighbors, the Pattersons and the Brammells, decedents of whom are buried in the cemetery. The headstones are in very good condition and are most likely still maintained by the Nash family. It contains thirteen headstones from several different families including the Nash, Hedges, and Snelling families. 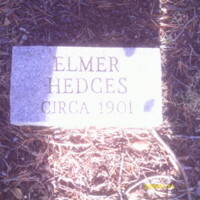 Stone at entrance of the cemetery erected in 1986 to commemorate the deceased family members. 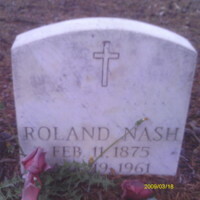 A photograph of the headstone of Roland Nash, son of Reuben Nash and stepson of Mary penny Nash. Text: "Roland Nash Feb 11, 1875 Apr 19, 1961"
Photograph of the headstone of Alice S. Patterson, most likely a descendent of the Patterson family from whom Reuben Nash bought land. 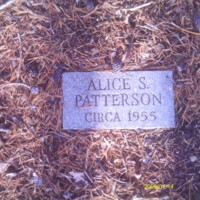 In the Nash family cemetery in Woodbridge VA.
text: "Alice S. Patterson circa 1955"
Headstone of Jenny Bramell, descendent of the Bramell family that were once neighbors to the Nash family. 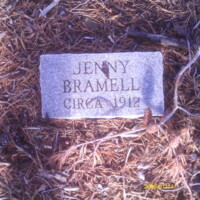 Found in the Nash Family Cemetery in Woodbridge VA.
text: "Jenny Bramell circa 1912"
Headstone of Alice S. Monteith. Relationship to Bramell, Patterson, or Nash family unkown. 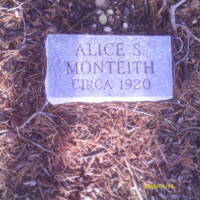 text: "Alice S. Monteith circa 1920"
Headstone of Agnes M. Snelling found in the Nash Family Cemetery. Relationship to Nash, Bramell, and Patterson families unkown. 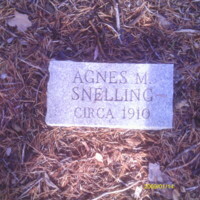 text: "Agnes M. Snelling circa 1910"
Headstone of Felton M. Snelling found in the Nash Family Cemetery. 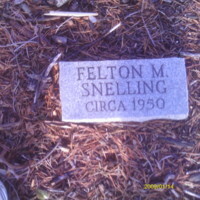 text: "Felton M. Snelling circa 1950"
Headstone of Charles E. Hedges found in the Nash Family Cemetery. 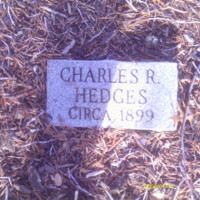 Most likely Related to Charles R. Hedges and Elmer Hedges and neighbor to the Nash family. 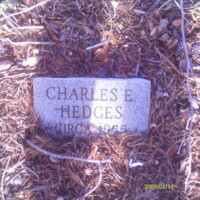 text: "Charles E. Hedges circa 1955"